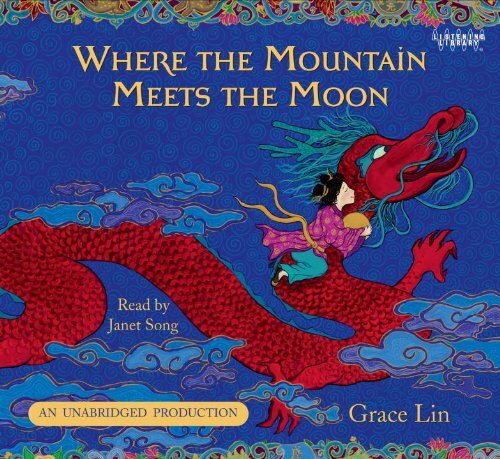 Janet Song is the perfect narrator for this story. Her voice is soothing and has a twinge of an Asian accent to it which helps with making the story feel authentic. However, despite Song's beautiful narration, I do not entirely recommend solely listening to the story without following along with the actual book.The formatting of the book itself along with the stunning, colorful illustrations is part of the whole experience of the story and should not be missed. Grace Lin weaves Chinese folktales into Minli's journey, making the book feel like a novel told in short stories. As someone who's not a fan of short stories, this was the only part of the book I did not enjoy. I really liked following Minli on her quest to find the Old Man on the Moon, but the adding of the folktales into the story didn't excite or interest me as much. This audiobook sounds so good- I love it when a reader really brings the story to life!- but definitely agree that the print book is not to be missed. Grace Lin sells signed illustrations from the book on Etsy! I'm dying to get one for my kids. About the book itself: I was a little less enthused about the folk tale parts of the story in the beginning, too, but I totally loved it when Lin wove everything together and I realized the folk tales were part of Minli's story. Ahh, now I want to read it again! I'll have to check this one out. Thanks for linking up!